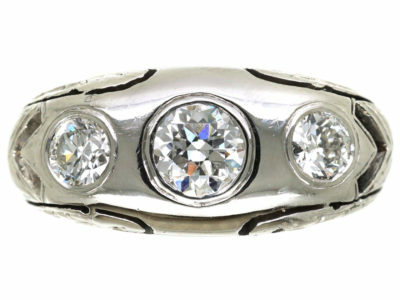 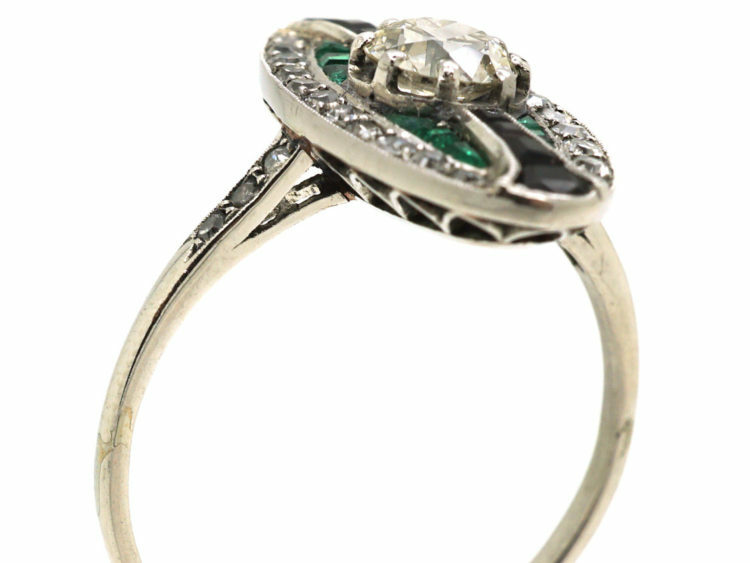 A rare original Art Deco platinum ring. 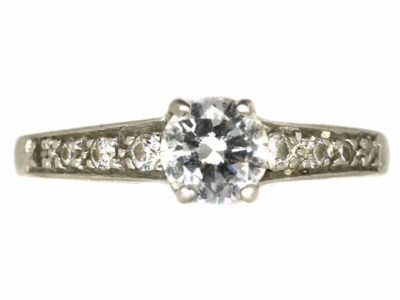 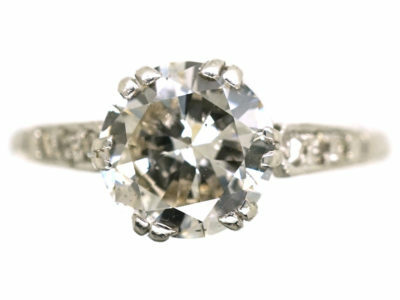 It has a good eighty point white transition cut diamond in the centre. 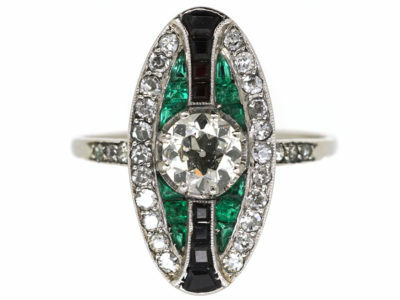 On either side are step cut onyx, then shaped emeralds ina curved design. 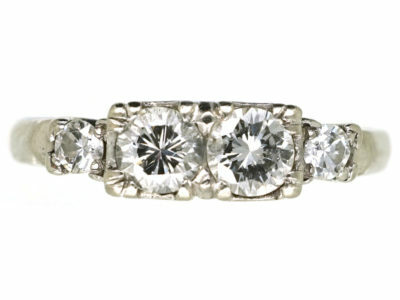 On the outside are well matched white diamonds and diamonds are also set in to the shoulders. 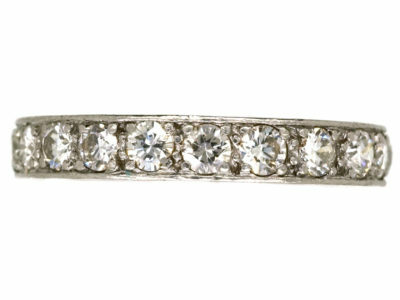 There is millgrain detail on the platinum. 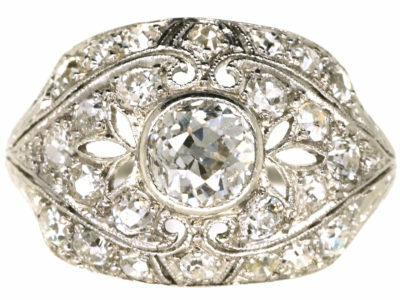 Millgrain decoration is the form of tiny bead shapes that are raised on the edges using a knurling tool and which add intricate detail. 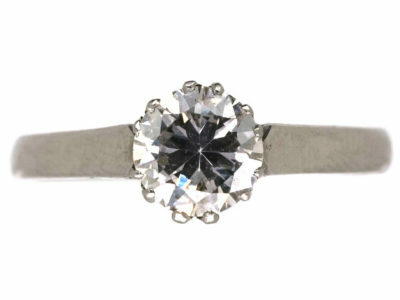 It sits low on the finger so it would be ideal as a dress or amazing engagement ring. 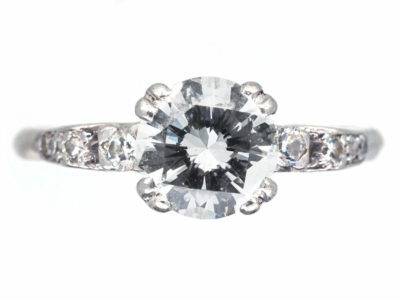 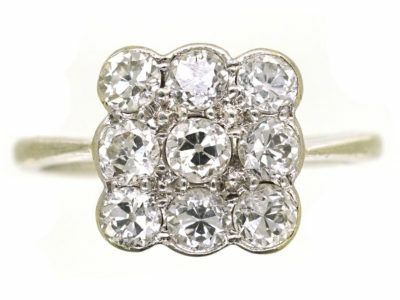 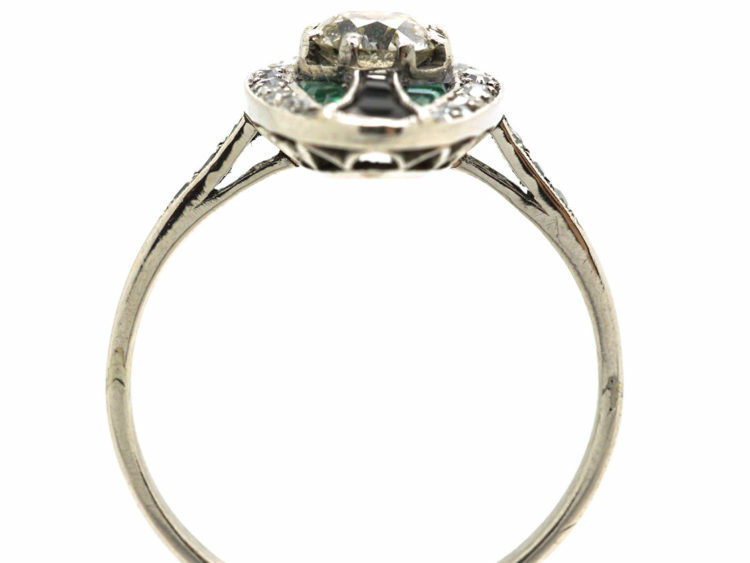 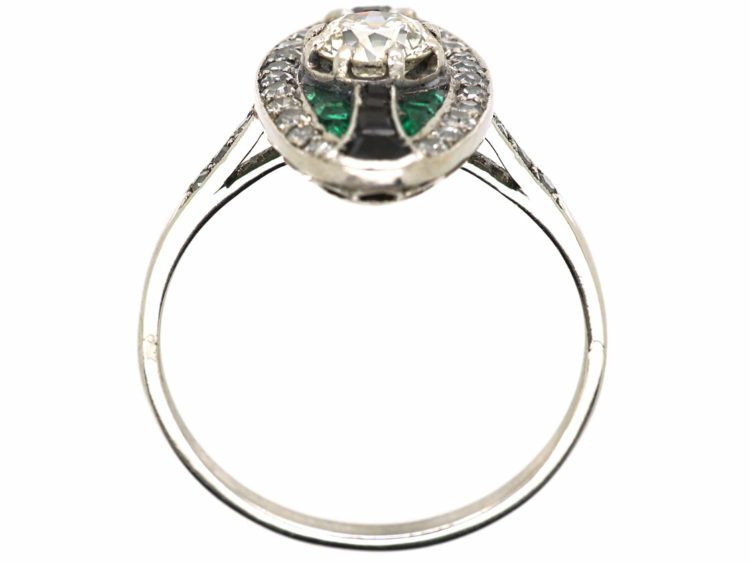 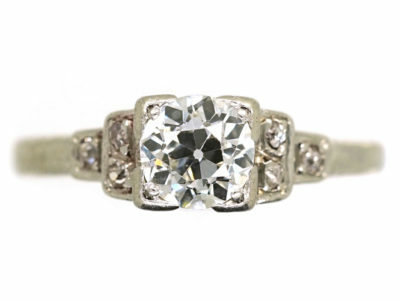 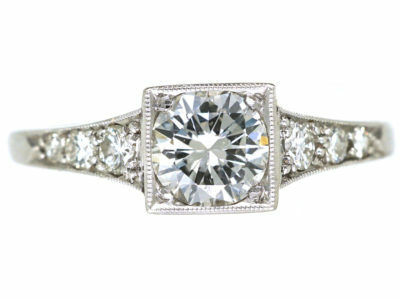 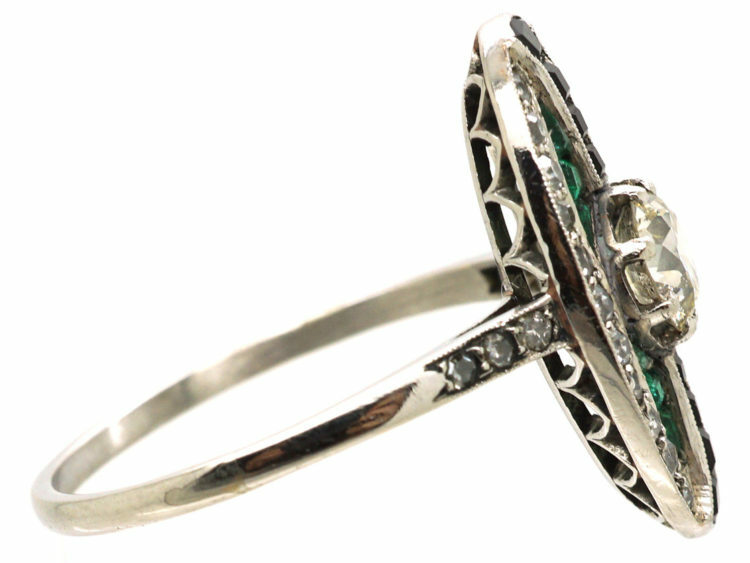 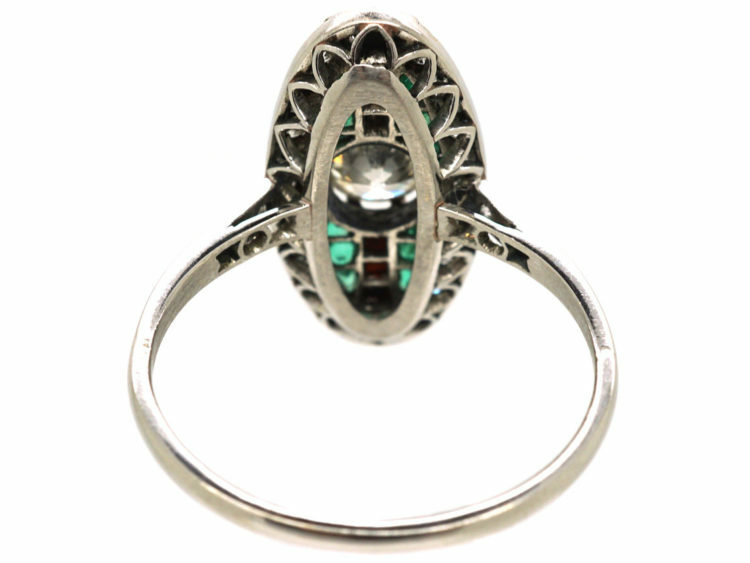 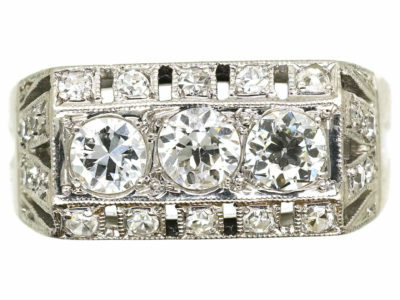 This is such a stunning Art Deco ring!